We are pleased to be able to offer here a small selection of Ant's CDs which are currently out-of-print or otherwise hard to find. The recent and forthcoming releases from Ant's back catalogue issued by Esoteric are available from Cherry Red. To order a CD or item, click on Buy Now for your location (UK or Rest of the World) to complete the transaction via PayPal. Unless stated otherwise, all CDs are brand new, unplayed and most are still sealed. Should you need to contact us about an order then please e-mail us here. Ant's collaborative release with Harry Williamson. Originally released in 1988 by PRT Records, the album was re-issued with the new cover artwork seen here and some additional music on this second edition. First released in March 1998, this CD features a selection of previously unreleased recordings including demos that Ant recorded with Mike Rutherford in September 1969, just prior to Genesis playing their first live shows. This pressing also includes the extra CD EP with five additional tracks that was issued with the first release of the album. 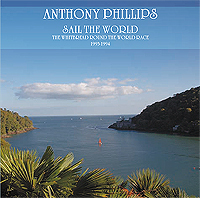 Originally released in 1994, Sail The World features the music that Ant wrote and recorded to accompany the television coverage of the 1993-94 Whitbread Round The World Yacht Race. In 2010, the album was reissued in this re-mastered edition. 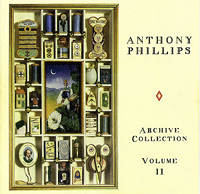 Following the original release of the album, most of the tracks were subsequently re-mixed for use as library pieces and this second edition, which was re-mastered by Simon Heyworth, includes the re-mixed versions. It also includes three extra tracks not included on the original release along with brand new artwork and sleeve notes to make this the definitive edition of Sail The World. 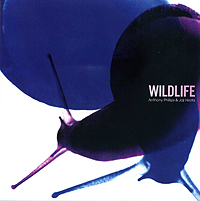 Between 1994 and 2000, Ant and Joji Hirota collaborated on a number of outstanding soundtracks for wildlife television programmes in the award-winning Survival series. In addition, Anthony also wrote and recorded the music for a programme in the BBC series The Natural World. Now for the first time highlights from these richly atmospheric and evocative soundtracks are available on Wildlife. 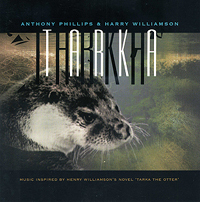 From the flooded forests of the Amazon to the huge expanses of the Serengeti, from the cold wastes of Kamchatka in Russia to the peaceful tranquillity of the Norfolk countryside - the music of Wildlife reflects these habitats and the amazingly diverse range of creatures that populate them. 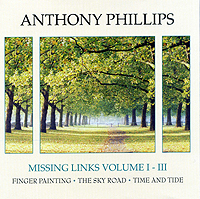 A triple CD re-issue of the first three albums in the Missing Links series - Finger Painting, The Sky Road and Time & Tide. All three albums now have new artwork and with a total playing time of three hours, this set provides excellent value.